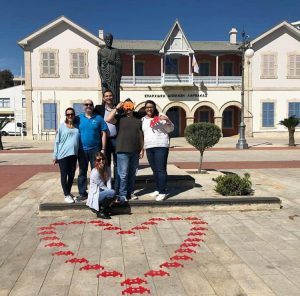 The seco nd project meeting and the exchange of best practices for DIGINV project took place on 21-22 March 2019, followed by the Digital Invasion through the Streets of Larnaka Cyprus. Cyprus Computer Society (CCS) hosted the meeting and organized the second project’s Digital Invasion. 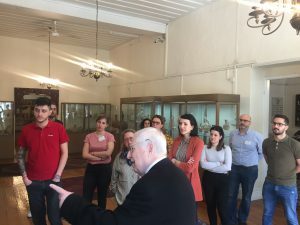 On the first day of the meeting the partners reunited at the Pierides Museum – Bank of Cyprus Cultural Foundation and were welcomed by the director of the museum. Afterwards, the results of the first teaching training activity that had taken place in January in Bevagna, Italy, were presented by Gaia Terenzi and analyzed by all project partners. The next project steps were discussed as well. Further, Ildiko Farkas from Telehaz, Hungary, presented the plan for the Digital Invasion that would be held in Hungary in July 2019. Antonis Antoniou from Thesaurus project. The Digital Invasion took place on the third day. Project partners, cultural operators and volunteers, gathered at Larnaka Marina to start the Invasion throughout the streets of Larnaka. The event was aimed at reaching a variety of participants. People from the town, tourists, and visitors, joined the invasion by following the clues along different points of interest and taking photos. 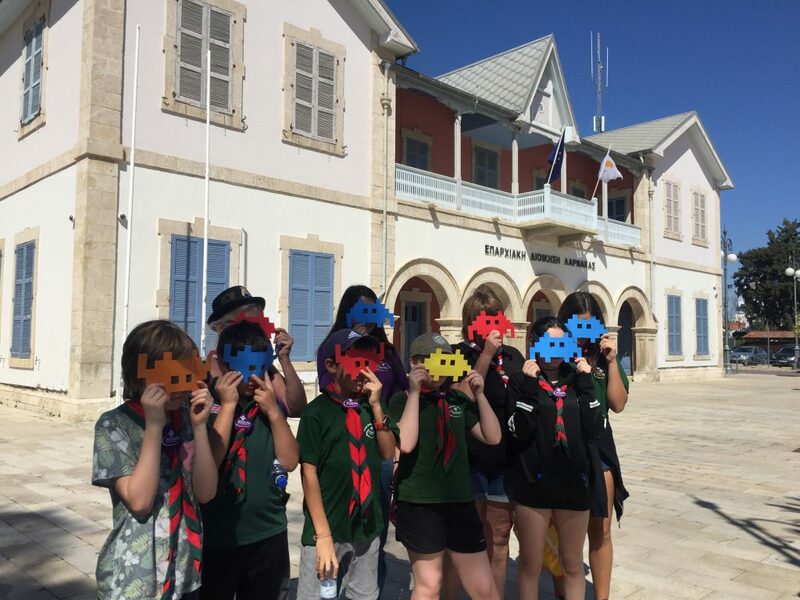 Various volunteers and cultural operators helped the participants by giving them more hints to get from one station to the other and reach the final end point at the Pierides Museum in order to complete the invasion. The activity was very successful, and it was promoted at the local and regional TV news the same day. As mentioned before, next Digital Invasion is expected to happen in July in Hungary and will roll out in the other partners’ countries like Malta and Croatia. Check the project website and follow it on Facebook to stay tuned on its progress!